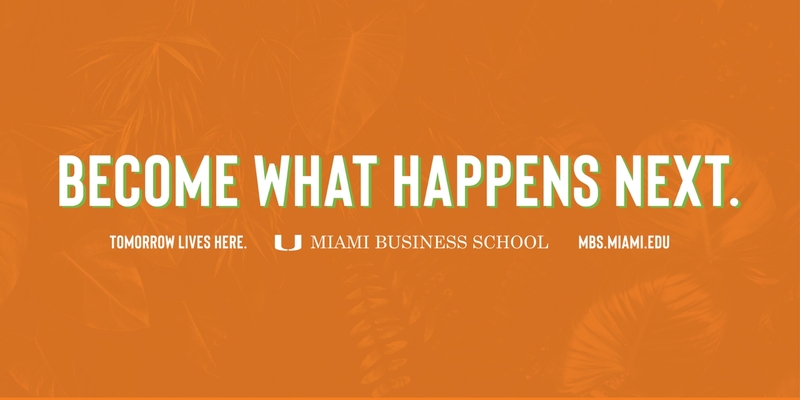 In the spirit of a new name for the Miami Business School (formerly the School of Business Administration at the University of Miami), Dean John Quelch and his Executive Committee are debuting a new branding initiative for the school. 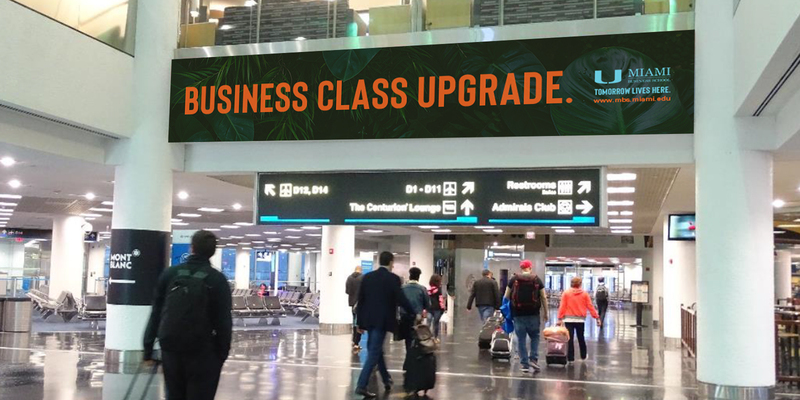 Dean Quelch, a business and marketing expert, sought a partner to help with this new effort and engaged an advertising firm who could help bring his vision for innovative thinking and re-evaluation to life. 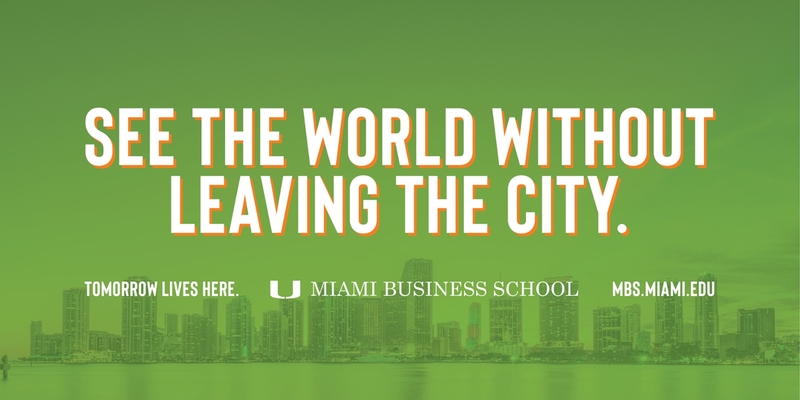 Earlier this year, Miami Business School (MBS) hired Miami advertising agency Markham & Stein to develop a new brand position and a complete 360-degree marketing campaign that will run locally, in select national markets, and internationally. In seeking a provocative messaging platform that aligns MBS’s identity with the desire to lead the conversation around new business practices, technology and digital advancements, a campaign using the tagline “Tomorrow Lives Here” was developed. “Business today is rapidly changing and we want our students to not only be involved in those changes, but to be built to lead them,” said Dean Quelch. “Our work with Markham & Stein has been very collaborative and refreshing in finding ways to speak to our best prospects that make the future encouraging and exciting. It’s an inspiring time to be at MBS with the changes we are putting in place,” he said. The initial branding effort will include print, billboards, transit shelters, online video, and a host of digital and social assets that will help drive interested students to learn more about individual programs. “We chose a color palette for the campaign that would be a bit new and a little disruptive to accompany many of our messages highlighting the thought leadership of our programs,” said Jeff Steinhour, managing partner of Markham & Stein. “This entire effort has been months in development, and we can’t wait to share it with the world,” he said. In addition to traditional media placements for the campaign, several unique branding elements will be incorporated, like an entire takeover of the Brickell Metromover station and in-elevator signage in specific business locations. The campaign will launch in October and will run through the Spring 2019 semester.